Timing is key when working on a baby sleep schedule. It’s important to make sure to find a balance between not enough awake time and too much. This is referred to as sleep pressure. 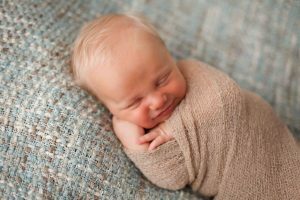 If your child is taking a short nap and waking up happy it is likely that the amount of sleep pressure that they have built up before their nap is not enough, and it might be time to extend the wake period before that nap. On the other hand, if they take a short nap and wake up upset, they might have built up too much sleep pressure and therefore gone into overtired mode. In addition to a proper waketime before each nap, it is critical that a child’s bedtime is on point. Bedtime will fall between 6:30 and 7:45 on a regular basis, although an earlier bedtime is necessary when going through nap transitions or dealing with an early morning wake up. If experimenting with different wake times is not successful, start paying closer attention to the signs your child is giving you before each nap and bedtime and see if those can lead you in a better direction. It is important to understand that there are a few different things that their signals might signify. The hormone melatonin helps you fall asleep and stay asleep. When a child is beginning to sleep longer stretches at night and lengthening out their naps, they are naturally producing melatonin. Note that even just a short while after waking in the morning or waking from a long nap you might see your child yawn, appear lethargic, or rub their eyes. This is due to their body adjusting to the new amounts of melatonin. Don’t these confuse signs of melatonin production with sleep signs/cues. However, if your child is due for their next nap or bedtime within the next 30-45 minutes and you are in the process of determining the correct wake period, then you must watch for your child’s sleep signals and let them lead the way. If you see a sleep cue, such as yawning or a lull in energy, it’s time to go into the room and begin your normal 10-15 minute soothing routine. It is also important to be able to distinguish an overtired sign from a sleep cue. Once your child becomes overtired sleep it is going to become more difficult for them to sleep. Some examples of overtired signs are being fussy/cranky and rubbing their eyes. If you see an overtired sign then head straight into their room, sing their song, say their key phrase and put them in their crib (learn more about a soothing routine). 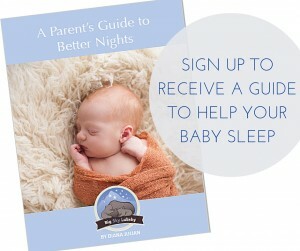 You want to put them in their crib (awake) within 5 minutes of observing their overtired sign(s). Having an understanding of wake guidelines by age and being observant of your child’s sleep cues can help you settle into a successful sleep schedule with your little one.